Music and dancer function. 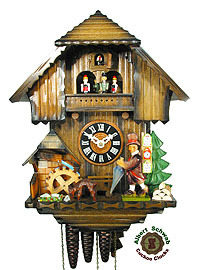 The clock seller moves his arm with the umbrella, the mill-wheel turns. 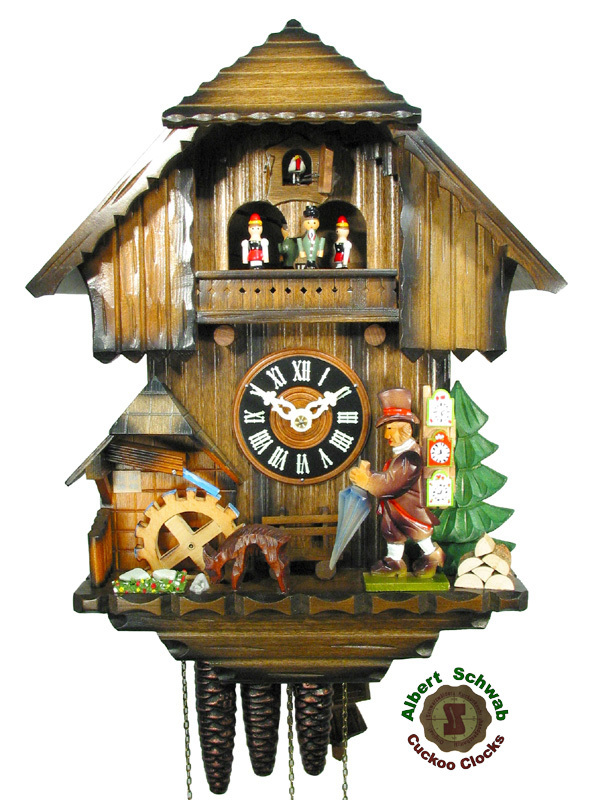 A nice chalet house clock with a Black Forest motive - the 19th century clock seller.